It’s a noisy world. 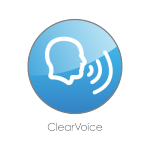 On bustling streets, in busy classrooms, packed restaurants, and crowded parties, you or your child want to be able to chat easily and naturally without worrying about the background noise. 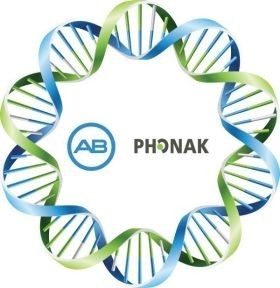 At every stage of the process—from the microphones that gather the sound; the technologies that process and enhance it; and the acces- sories that transmit it—AB provides more proven solutions for hearing in the most challenging situations than any other manufacturer. AB's AutoSound™ sound processing technology adapts automatically and continuously to every environment, making it easier for you to hear your best no matter where you are and no matter what you do. 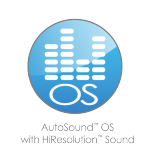 When sound levels change as you move, for example, from a quiet office to a noisy conference room, AutoSound automatically adjusts to the new environment. By capturing the widest range of sounds and adjusting loudness, it can help you hear better with less effort. 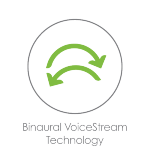 Phonak Binaural VoiceStream Technology™ gives your Naída CI processors the unique ability to work together for improved hearing in challenging situations. Sound from one processor is transmitted to the other so that you hear the sound in both ears at the same time while distracting noise is reduced. 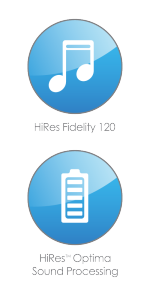 No other manufacturer can offer the extraordinary benefits for communicating with confidence that binaural technology provides. Most of the time, we want to hear more of the sounds around us, but some noises just get in the way. Using proven Phonak technologies, your Naída CI Q90 sound processor can make listening more comfortable in challenging situations including wind, sudden noise, and echo. 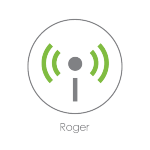 Roger™ is the new digital wireless standard from Phonak that enables you to hear and understand more speech in extreme noise and over distance. It transmits sound from a microphone directly to the design-integrated Roger™ 17 receiver which attaches easily and discreetly to your Naída CI processors. 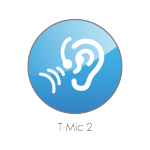 Using directional microphone technology, Roger technology transmits crystal clear sound while reducing background noise. 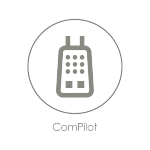 The Phonak ComPilot and RemoteMic accessories help you hear clearly in moderate noise and over distance. 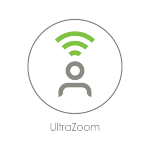 The speaker’s voice is transmitted from the RemoteMic to your ComPilot, which transmits the sound directly to your processors, or your processor and a compatible Phonak hearing aid. Gifford R, Revit L. (2010) Speech perception for adult cochlear implant recipients in a realistic background noise: effectiveness of preprocessing strategies and external options for improving speech recognition in noise. Journal of the American Academy of Audiology 21:441-451.
threshold benefits in cochlear implant users with an adaptive beamformer in real life situations. Adams D et al. (2014) Multicentre evaluation of music perception in adult users of Advanced Bionics cochlear implants. Cochlear Implants Intl 15(1):20-26. Brendel M, Frohne-Büchner C, Lesinski-Schiedat A, Lenarz T, Büchner A. (2014) Everyday listening questionnaire: correlation between subjective hearing and objective performance. Cochlear Implants Intl 15(1):13-19. Büchner A et al. (2012) Benefits of the HiRes 120 coding strategy combined with the Harmony processor in an adult European multicentre study. Acta Otolaryngol 132(2):179-187. Osberger MJ, Quick A, Arnold L, Boyle P. (2010) Music benefits with HiRes Fidelity 120 sound processing.Cochlear Implants Intl 11 Suppl 1:351-354.